Warren Hylton has a full plate. A business owner, civic leader, loving husband, father and advocate for the state's coal industry and its young people, Hylton seems to have a hand in nearly everything. Though many people know the Hylton family name - his father is businessman Tracy Hylton - Beckley-Raleigh County YMCA CEO Jim Gilchrist says he doesn't think the majority of southern West Virginians are aware of all the contributions the younger Hylton has made to the community and state. 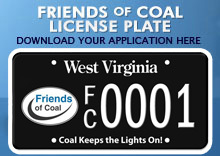 Among the most recent was the sponsorship by Friends of Coal of July's Friends of Coal Auto Fair, which attracted thousands of people to the three-day event at the YMCA Youth Sports Complex, as well as sponsorship of the Sept. 2 Friends of Coal Bowl, which pitted Marshall and West Virginia universities against each other in football. Though both Gilchrist and Beckley Area Foundation president Susan Landis say Hylton, president of Patience Inc. coal company and chairman of Friends of Coal, chooses to work quietly behind the scenes, he will soon be front and center as he has been selected as the recipient of the 2006 Spirit of Beckley award. The Spirit of Beckley title, which Gilchrist says is among the most prestigious recognitions anyone from the area can receive, is awarded annually to a person who has dedicated time, resources and energy to the betterment of the community. As the honoree in the 20th year of the program, Hylton joins the ranks of such previous recipients as Nancy Pat Lewis-Smith and Hulett Smith, Landis, Jerome Van Meter and his own parents, Tracy and Betty Jo Hylton. "I was very humbled," Hylton said of learning of his selection. "It's a pretty elite group to get into, and it's just overwhelming. "I haven't quite figured out why I'm deserving of this." Gilchrist and Landis both say they believe Hylton is more than deserving. "I think Warren's an excellent choice," Gilchrist said. "He's just done so much for the community and for the state." The recipient lends his or her name to the Spirit award, which is annually the YMCA's largest fundraiser. Money contributed in the name of the honoree funds scholarships for the less fortunate and helps the YMCA continue to offer its many youth-oriented programs. This year's fundraising banquet, at which Hylton will officially be honored, will take place Dec. 4 at the Raleigh County Armory. Gilchrist says it's fitting that Hylton's name be connected to a fundraiser which directly benefits children. "When Warren is around, kids just light up," Gilchrist says. "Warren's love is what can be done for the kids." 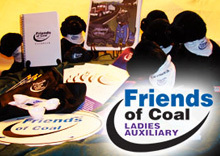 Part of the mission of the Friends of Coal, which under Hylton's guidance has grown to include more than 100,000 members in less than four years, is the importance of caring for and providing a better future for children in the Mountain State. "I love anything that has to do with kids," Hylton said. Landis describes Hylton, who with wife Patty has two daughters at home, as a "family man" who works tirelessly in all aspects of his life. "He's so devoted to his wife and kids," she said. "He's always there for everything his kids do. It's not just Patty." While Adam is currently living in Tennessee, it is Hylton's hope that daughters Traci Jo, 15, and Morgan, 6, who both attend schools in Raleigh County, are able, along with the rest of West Virginia's youth, to make homes and form successful careers in the Mountain State after they receive their education. "I believe kids should have better opportunities here in the state," Hylton says. "We've become too complacent that our kids will grow up here, go to school here and then leave." 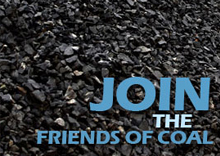 While the issue of younger residents of the state leaving for job opportunities elsewhere is often discussed, keeping the state's youth at home and improving the image of the coal mining industry are the main missions of Friends of Coal - yet another reason Landis says Hylton is deserving of the Spirit of Beckley." "He has done lot to grow businesses and attract new businesses," Landis said. "He's done all of this whether it would help his own company or not. It's a selfless act. It's important for the young people to stay in the area. We may sit around and talk about things we might do or should do, but he takes a firm position and takes positive action. "It's easy to honor him."